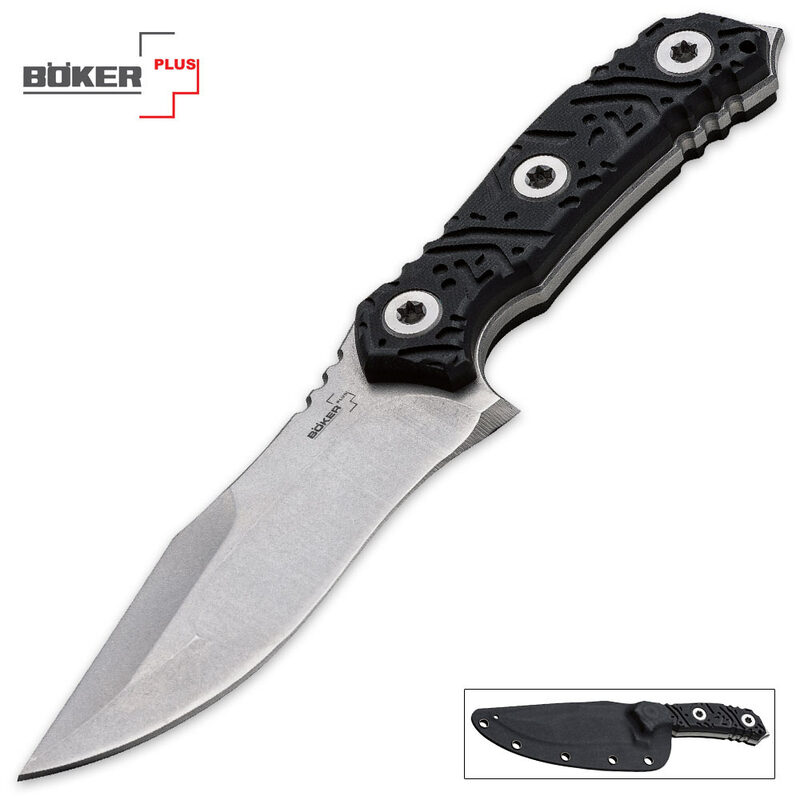 Boker Plus M13 Fixed Blade Survival Knife | BUDK.com - Knives & Swords At The Lowest Prices! The knives by D.J. Urbanovsky are not only selected unique designs, with a more than compelling design language, but have also demonstrated their outstanding utility. Compared to the Colubris, the new M13 has slightly heavier scales, while the pronounced recurve blade fascinates with its compound grind, which is a blade grind with three layers. The pommel has an impact element, and the extensive millwork in the tang, handle scales and spine facilitate the grip as much as the logo milled into the G-10 scales. 440C stainless is used for the blade steel, with a stonewash finish. Includes a Kydex sheath and belt adapter. Blade length: 4 3/8"; Overall length: 9 3/8"